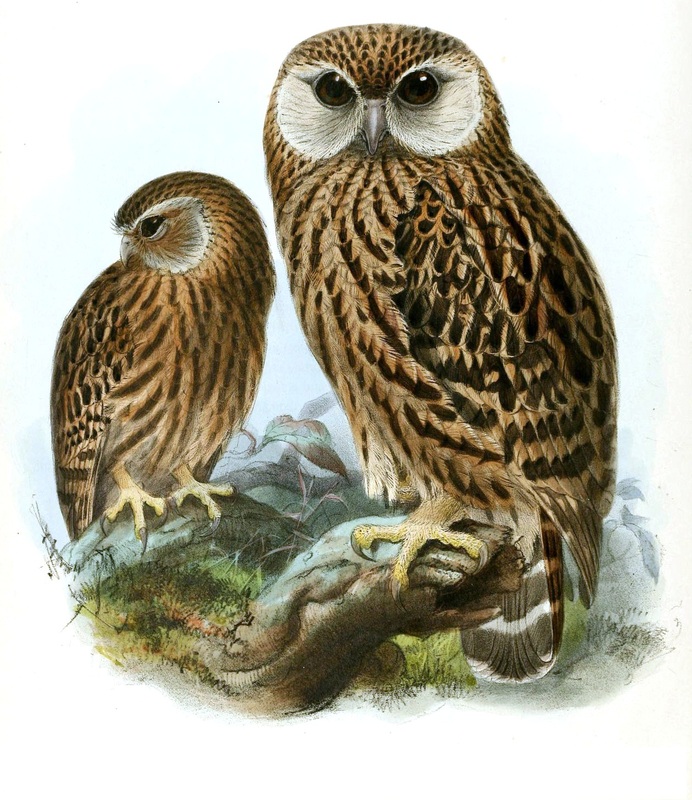 The Laughing owl, endemic to New Zealand, became extinct in the early 20th century. They were found in great numbers when European settlers came to New Zealand. Food Small to mid-sized birds, lizards, bats, frogs, insects, beetles, geckos, grams and Pacific rat. Adults were dark brown in color with yellowish-brown longitudinal stripes. There were white straps on the hind neck and scapulars. The tarsus was covered with reddish to yellowish bristly feathers. Males were richly color morphed than female specimens. Their facial disk was pale. The species got its names because of its vocalization. It is a kind of like a high-pitched chattering that has been described in many ways. Some attribute it as a loud cry constituted of serial “dismal shrieks frequently repeated,” while other accounts described it as a “peculiar barking noise” or as if two persons cooing to each other from a distance. Laughing owl used to dwell on rocky, low rainfall regions. They preferred living in both forested and open places. They perched in fissures or caves in rock faces. 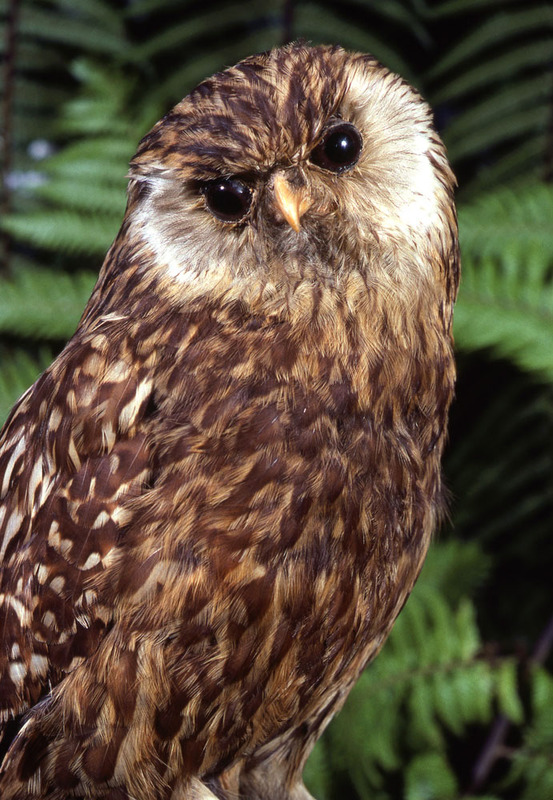 This species was found throughout New Zealand. Earlier, there were suspicions that the bird might not have existed in the northern island at all. However, this theory was proved wrong after plentiful sub-fossil bones of S. a. rufifacies were found on the northern island. The last recorded occurrence came from Te Urewera in the northern island. In the southern island of the country, the S. a. albifacies inhabited low rainfall places, including Canterbury, Otago and Nelson. They were also found in central mountain ranges. They were ground feeders. 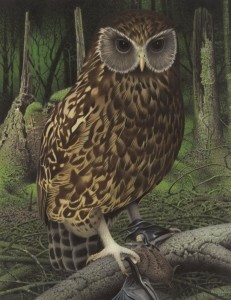 Often, they used to chase their prey on feet then hunting using their wing. Their diet reflected the small creatures that inhabited the region. Breeding started in September – October. Their nests made of dried grasses, used to be directly on the ground in rock fissures, rock ledges, under boulders and caves. The female used to laid two white roundish eggs measuring around 47 mm x 39 mm. The males used to feed the female on the breeding nest. Chicks were hatched after 25 days. It is believed that the female used to incubate alone. On 5th July, 1914, the last recorded specimen was found dead at Bluecliffs Station in Canterbury, New Zealand. Newly hatched ones were sparsely covered with yellowish-white coarse down. 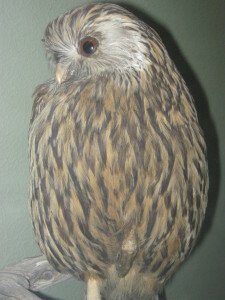 Specimens of S. a. albifacies were collected from Stewart Island/Rakiura in or around 1881. The debris of prey remains at their breeding nest sites offered a unique perspective of all the small vertebrates that inhabited New Zealand before the arrival of human beings. There are several theories regarding their extinction causes, such as alterations in land uses as well as the introduction of predators like cats and stoats. 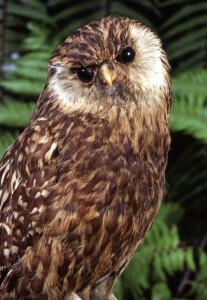 This species might have been declining in its north island habitat before the European settlement. They were quite common in Urewera Ranges in pre-European times. In the 1800s, were found in great numbers in the southern island. But they rapidly declined after that. Unconfirmed sighting come once in a while. 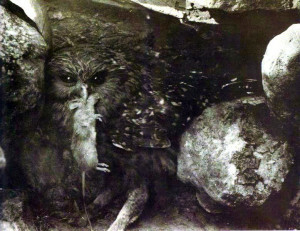 In the northern island, there were two unconfirmed sightings in 1925 and 1927. 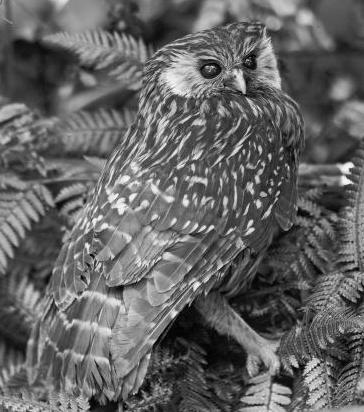 Brian Parkinson talked about a laughing owl in Pakahi near Opotiki in 1940s. In 1956, there was a report of an unidentified bird flying and producing an unusual, weird cry that was described as maniacal. 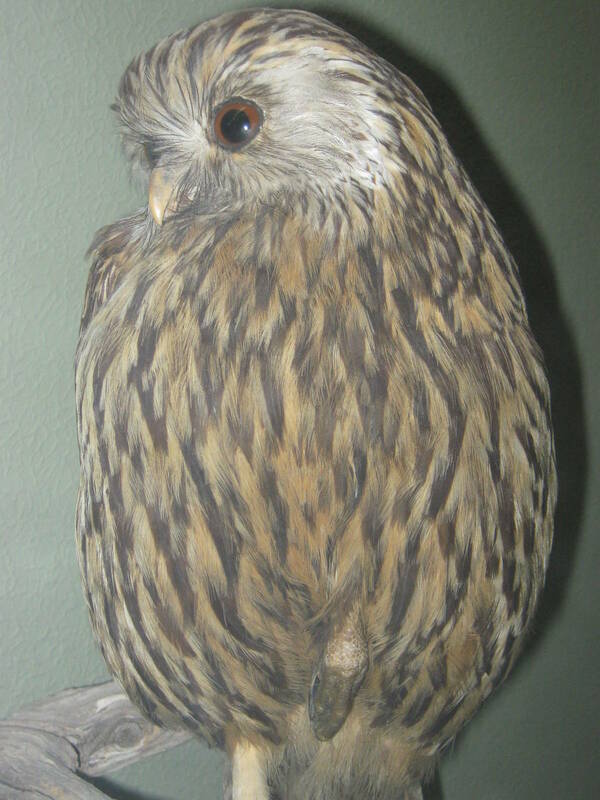 The egg fragments of this bird were reportedly found in Canterbury in 1960. Published on June 2nd 2015 by admin under Birds. Article was last reviewed on 2nd June 2015.